The Fat-Pat Laser Level from Toolway is impact, water and dust resistant and has been designed to work well with bright lighting. It also features an Outdoor mode to be used with a receiver with a maximum working range of 40m. Magnetic Wall Mount. Use without tripod. 1 year Limited Warranty. Covers product replacement due to any defects in material or workmanship under normal use during the Warranty Period. Excludes any failure or defects resulting from normal wear, neglect or not used in accordance with sellers instructions. Toolways liability is limited to the replacement of the product. Four-mode functionality, including single vertical, single horizontal, horizontal/vertical combination and lock/manual modes. The 360 coverage gives the user one setup point for an entire room. The GLL 2-20 range is 65 Ft. diameter with accuracy of 3/16 In. at 30 Ft. Smart Pendulum System features self-leveling function and indication for an out-of-level condition. Pendulum lock protects the unit for safe transport to the jobsite. The BM3 positioning device easily holds the laser and attaches to objects for precise positioning. The Bosch GLL 3-50 Three-Line Laser with Layout Beam produces one horizontal line, two vertical lines plus plumb down point - for level, align, plumb and square applications to help users swiftly measure the job with precision. The included a 360 rotational telescoping mounting base helps users effectively set right angles up to 33 Ft. without having to reset. The base has manual fine adjustment, which allows for easy setup and convenient viewing of the laser point on the floor. The Smart Pendulum System self-levels and indicates out-of-level condition. It offers an accuracy of 3/8 In. up to 100 Ft., and it has a pulse mode, for use with the optional LR2 laser receiver, to extend its range up to 165 Ft. The BR50 is a Video borescope and camera tester which has a 17mm camera diameter and 2.4-inch Color TFT LCD Monitor. Applications include: Home inspection: Inspect in walls for meld, insect infestation, electrical wire or water pipe location; HVAC: Inspect inside ducts, behind motors and compressors; Automotive: View inside or around engines and transmissions; Government: Safety and security inspections; Industrial: Inspect weld integrity, process equipment, gears, moulding machines; Aerospace: Aircraft inspections for contamination, debris, cracks or other damage. Comes complete with rechargeable Lithium battery, and Universal AC adapter and charger with USB cable. The FatMax retractable tape measure makes measuring extended lengths of today's engineered building materials a cinch. With a wider design than regular normal tape rules, the FatMax tape rule has an 11 foot stand out with a 1.25 in. blade. With a high-visibility Mylar polyester film to extend the life of entire blade and improve measurement visibility, this tape rule makes measuring easier on the jobsite. 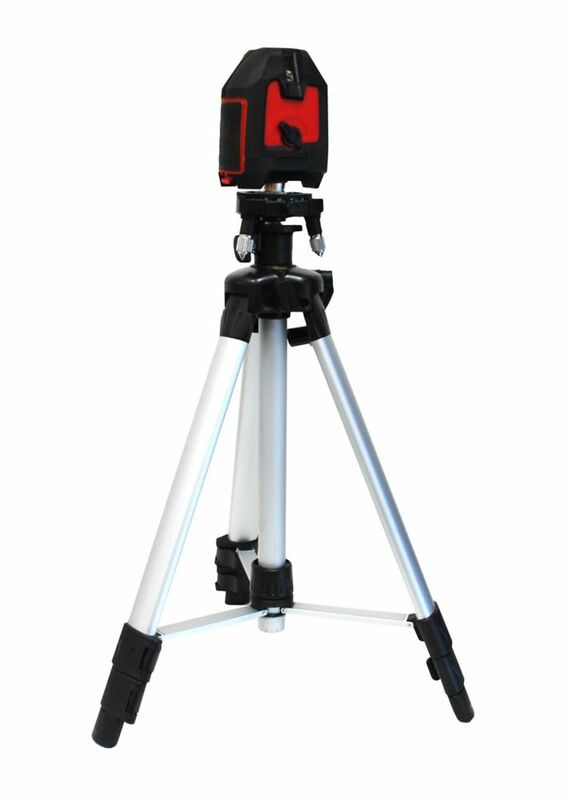 Leveling Laser Impact Resistant w/Tripod and 360 Rotating Base The Fat-Pat Laser Level from Toolway is impact, water and dust resistant and has been designed to work well with bright lighting. It also features an Outdoor mode to be used with a receiver with a maximum working range of 40m.